Assembly Row is a new mixed-use neighborhood at a former brownfield site on the Mystic River featuring restaurants, shopping, offices, research and development space, cinema, residential living, and public green space. 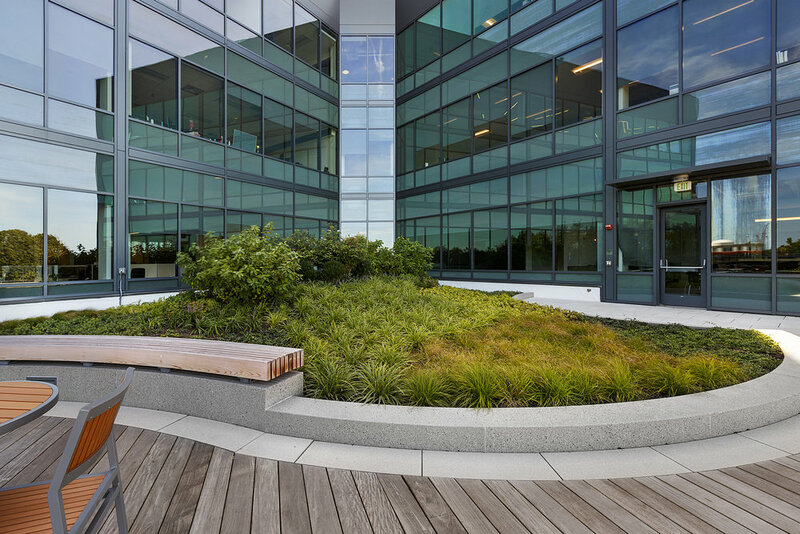 Recover installed nine separate garden areas on three rooftop plazas overlooking the Mystic River and an expansive waterfront park, creating a unique urban office escape. Perennial grasses, lilies, and dogwoods watered with an automated smart irrigation system create a serene aesthetic of grasses blowing in the wind. Pedestrian walkways are separated from gardens by custom precast curbing set on concrete footings, allowing free flow of surface water in all directions. Built-on-site seatwalls capped with floating cedar slats create natural gathering spaces on the roof, and integrated lighting provides an inviting ambiance day or night. 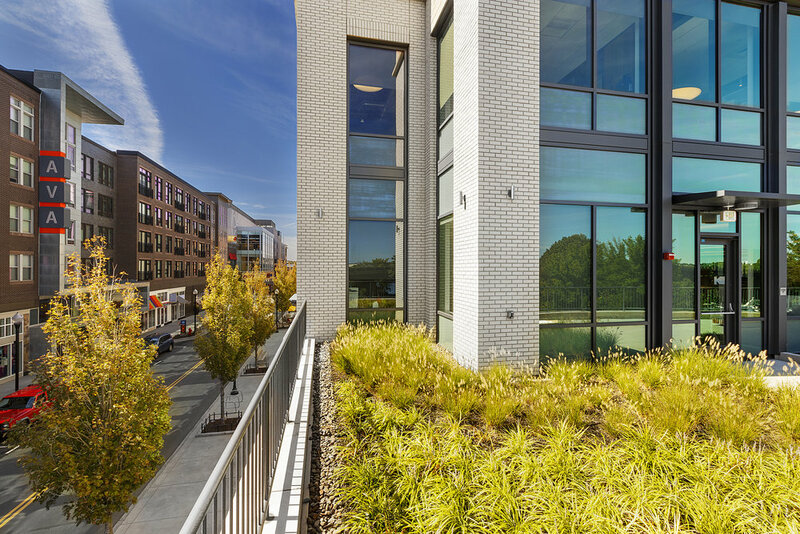 Read more about Assembly Row's LEED Gold Certificate in the Somerville Patch. Photograph above and images 2, and 4-10 in slideshow courtesy of Patrick Rogers Photography.